Your Teaching & Learning Team is excited to announce a new professional development opportunity you won’t want to miss. On January 30, 2019, we will launch the Distance Education Extension Program (DEEP for short). This will be a series of online, self-paced mini-courses for faculty who are teaching online and hybrid classes. While the Distance Education Readiness Course provides an introductory survey of pedagogical best practices, DEEP courses will focus on specific themes, allowing faculty to dig deeper into scholarship and praxis. The best part is DEEP courses are on-demand and self-paced. Facilitated via OAKS, you can participate on your own schedule. Spend a week or spend an entire semester. There are no synchronous elements, required assignments, or grades. You can use the information presented to completely overhaul your teaching practices or you can use a single suggestion to make a small change. However you use these courses is up to you. 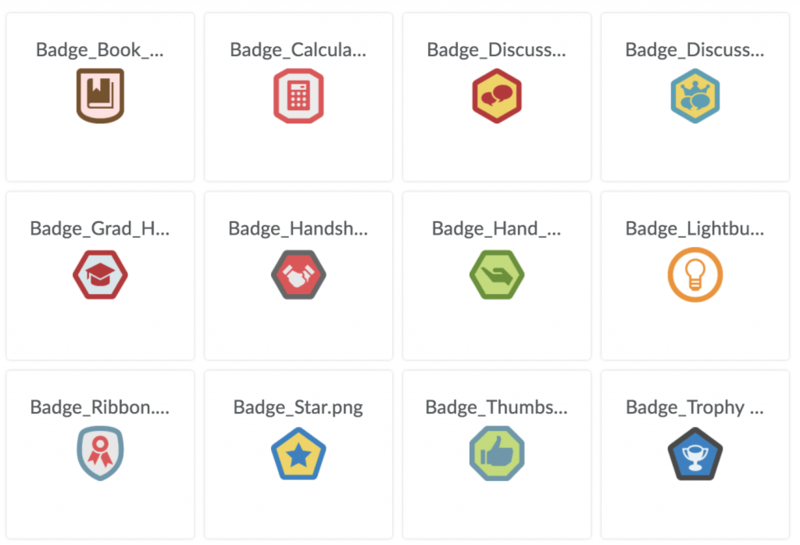 To reward you for experimenting with new ideas, you have the option to earn a digital badge for each DEEP course you complete. Completion is determined by consuming all course content and submitting reflection exercises that demonstrate what you’ve learned. These badges can be added to your email signature, website, blog, or even your tenure and promotion materials. 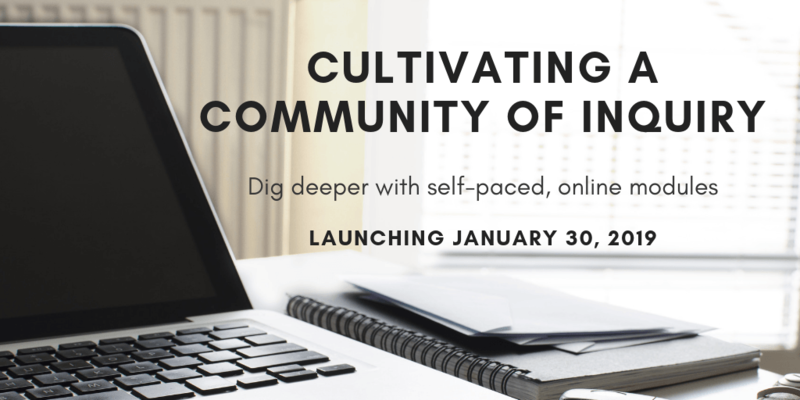 On January 30, 2019, two DEEP courses will launch: “Cultivating a Community of Inquiry” and “Creating a Learner-Centered Syllabus.” Over the summer and into the future, additional courses will become available. What is “presence” in the context of teaching and learning? As an instructor, you might think of presence as being mindful of the course climate and intentionally fostering a community of learners. One of the strongest factors impacting student retention in online courses is feeling a sense of community as opposed to learning in isolation. Thus, cultivating community your online course makes a huge impact on student learning, engagement, and overall success. So, how do we accomplish this? One approach is to apply the Community of Inquiry framework. This model describes the interplay between three elements—teaching presence, social presence, and cognitive presence. These types of presence are essential to develop deep and meaningful educational experiences in online learning environments. This course will address these three elements from theoretical and practical perspectives. You will be provided with an overview of the research and get the opportunity to explore practical strategies that can be incorporated into your own classes. Depending on what you create in response to the reflection exercises, this course will take most people 6 – 8 hours to complete. But, what you create and how much time you spend is completely up to you! What functions do syllabi serve? Common functions faculty cite include serving as a contract, listing required textbooks, detailing policies and procedures, and describing the focus of the course. Less commonly, professors note that the syllabus describes their teaching philosophy, lists resources available to help students succeed, and explains how their course fits into a discipline or broader context. One important role a syllabus plays that is frequently overlooked by professors is that it sets the tone for the rest of the semester. The syllabus is the initial point of interaction between you and your students and it can create powerful first impressions. Through content, tone, and format, does your syllabus come across as welcoming, conversational, and aesthetically-pleasing? Or, does it seem cold, dictatorial, even infantilizing? Be honest — if you were a student, would you want to read your syllabus? 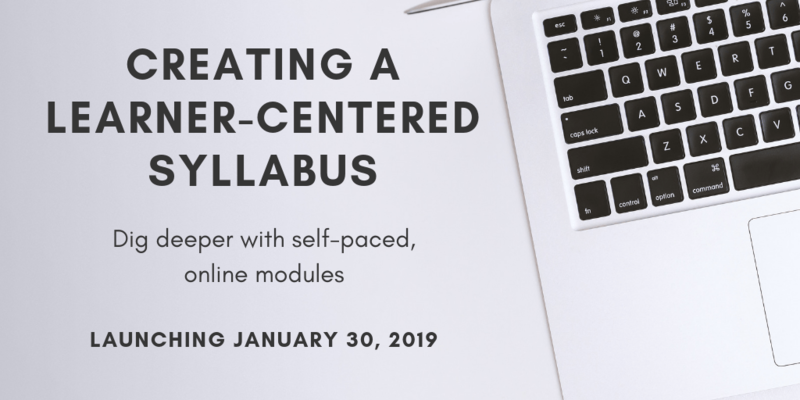 Based on one of TLT’s most popular workshops, this course will provide an overview of the research on learner-centered syllabi, share best practices in syllabus design, and suggest non-traditional methods of presenting this essential document. Depending on what you create in response to the reflection exercises, this course will take most people 4 – 6 hours to complete. If you are creating a syllabus from scratch, it could take longer. But, what you create and how much time you spend is completely up to you! Click the name of the course that comes up in the results list. Haven’t taken the DE Readiness Course yet? We encourage you to chat with your department chair about whether online teaching is right for you and for your department. We offer the 7-week, online preparatory course three times per year. Visit the distance education webpage for more information.